We went in for a screening ultrasound on August 24th at 11 weeks and 6 days along. 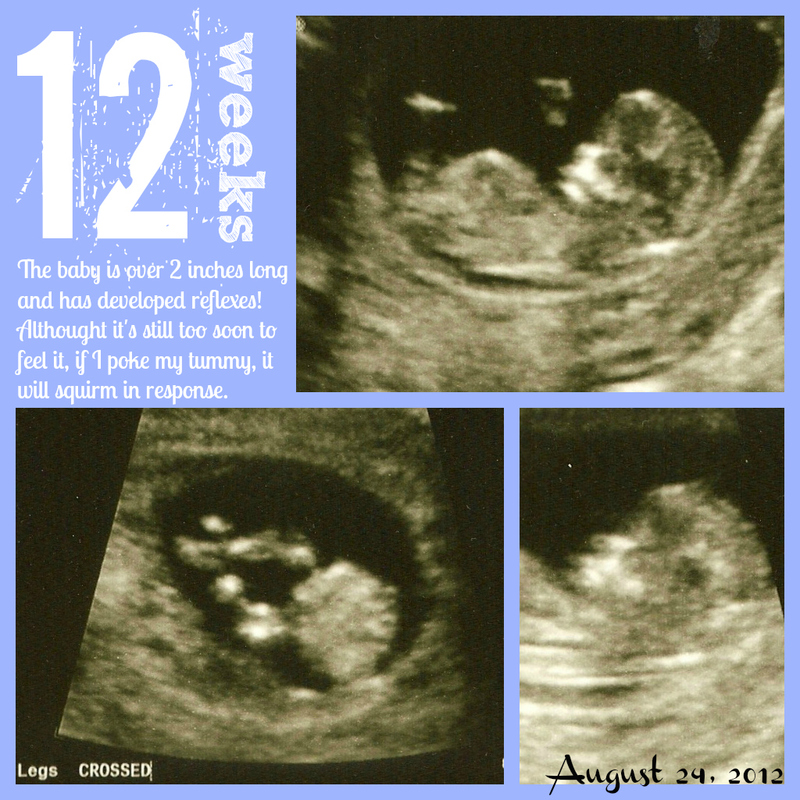 I rounded up to reflect 12 week developmental milestones for this collage since it was only 1 day shy. The results of the ultrasound combined with a blood test, puts our risk for down syndrome and trisomy 18 at 1 in 10,000 births. The baby appears to be growing healthy and strong and we're all looking forward to the second trimester.